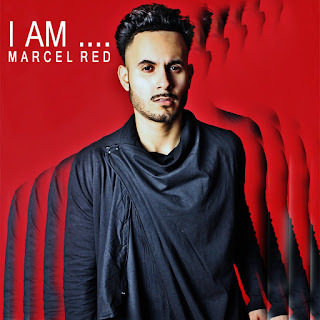 Latin Pop R&B artist Marcel Red is a young singer/songwriter from the Inland Empire who is making a statement with his new EP “I Am…Marcel Red!” The new EP touches on all elements of the mind and soul with feel-good sultry pop, funk and R&B tunes. The first single “What You Did” dropped March 2016 on iTunes. “What You Did” is about a man struggling with suspected infidelity and the pain of seeing the women he loves in the arms of another man, it’s driving him crazy. Marcel’s music incorporates a vocal style reminiscent of music icons Maxwell, Sam Smith and Brian McKnight while remaining true to his own unique sound and style. Marcel has performed with some of the industry’s biggest names including Pretty Ricky, Silk, Troop, J. Holiday, Annette Moreno, among others. He’s also been able to work with industry heavyweights like Jonas Weeks and Multi-Platinum producer Carlos Battey from The Jackie Boyz. Weeks and Battey have worked with artists such as Bruno Mars, NeYo, Linkin Park, Madonna, Chris Brown, Justin Beiber, and many others. Tell us about your career in music. What was that pivotal moment when you decided you wanted to become a Music Artist? Marcel: I am Marcel Red. I am a recording artist and music is my life. Since I was a little boy, I was exposed to music. I am fortunate to have a talented family. My grandmother was a singer and so was my dad, that's where I get my talent from. My dad and mom constantly played oldies such as Prince, Al Green among few. My family and I use to have fun singing their songs. The moment I decided that singing was my call, was after my brother passed away. I found myself pondering about my future. Then somehow I decided that I belong on stage, and that my soul is my music. I decided that no matter what the sacrifices or obstacles, I was going to face it and accomplish my dreams. Who helped to inspire and shape who you are today? Marcel: My family has been very influential in my life and in my singing career. As I mentioned before we all love music and they are very supportive of me as an artist. Other influences are artists like Prince, Maxwell, Sam Smith and Brian McKnight are just a few artists that I have always look up to. I love the fact that they are constantly reinventing themselves and always challenging their artistry. That is what I try to do because I am always looking for ways to better myself. What is your new EP I Am Mercel Red about? What do you want listeners to take away from your project? Marcel: Most of the songs on my EP are about relationships from finding love to dealing with infidelity and breakups. Other songs are about encouragement, such as my song “Freedom.” "I Am... Marcel Red" is influenced by many genre R&B, Funk and Urban. The tracts have been shaped into its unique style giving today's generation a different outlook from sound and rhythm of yesterday music. This project was more experimental for me. I want the listeners to hear the diversity of this project, so they can experience the diversity of my vocals. So far, track # 2, "Love Me Better" is causing the most sensation in many parts of the world such in Japan and the U.K. and "Freedom" in Latin America. Tell us about your new single "What You Did"? What is this song about? Marcel: The song is about a man struggling with a suspected infidelity. The pain he is going through seeing the woman he loves in the arms of another man, it’s driving him crazy. The shadows of desperation and insecurities are suffocating him insanely. What artists do you look up to today? Marcel: I am always fascinated with artist who are not extremist and not so traditional. Artist that I like today are Beyonce, Jason Derulo, The Weekend, some to mention. In my opinion, these artists have overexcited their expectations. My all time favorite artists are Maxwell and Prince, may Prince rest in peace. This is a huge lost to the music industry. He is an all times music legend. If you could share the stage with any artist, who would you perform with? Marcel: I'm a performer when it comes to the stage! I definitely would have to say Chris Brown or Beyoncé. They know how to work the crowd with their amazing choreography and dance moves. What is in store for 2016 and what can fans look forward in the coming months? Marcel: ? I am currently promoting my new EP "I am ... Marcel Red" and soon I will be releasing the video for "What You Did" directed by Olia Oparina. Olia has work with many artist, so I am excited about that. I will also be performing soon in several cities across California and I’m in the process of starting my new album soon for later this year.